1. 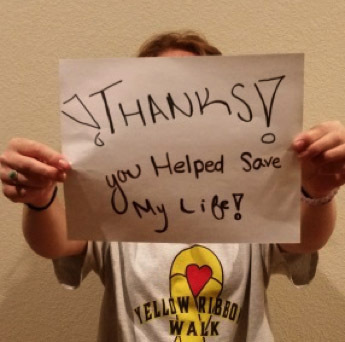 Attend (or host) a Yellow Ribbon Training! 2. Order & Distribute cards and information to youth! Make cards available by easy access. Make sure youth know the cards are free! Place ribbon cards in baskets/display holders in schools, churches, youth centers, medical offices, libraries, everywhere! This ensures youth can get a free card without embarrassment or needing to ask for them. Create a local newsletter – many of our best articles are from youth! Tie yellow ribbons on trees, poles, building entrances and doors. 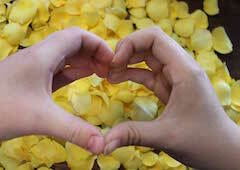 (Many fabric stores and floral shops will contribute ribbon). Put posters in halls and on bulletin boards with information about this program. 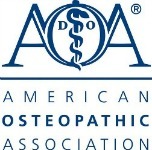 Include statistics, and suggestions of how and where to get help. 3. 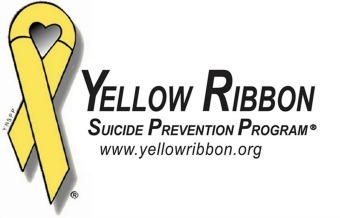 Wear a Yellow Ribbon – so that you will be recognized as someone who cares and will help. Enameled yellow ribbon pins are available for purchase from the store. 4.  Social Media/Web – Put a Yellow Ribbon on your web site, on your Facebook, Twitter, Instagram & other social networking sites and ask others to do the same. 5. Contact us – call or email the office we have folks who will answer your questions and help walk you through getting the program in your community. Teens – YOU can help this program! Unite and save lives — Let your voices be heard! You can help stop this epidemic – youth worldwide are involved with this program. They are helping save lives! Teens and youth who have survived a suicide attempt relate that they really didn’t want to die, they just wanted to stop the pain! 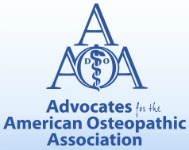 Together, we can help stop the pain! It takes a village to raise a child…It takes a village to save a child!